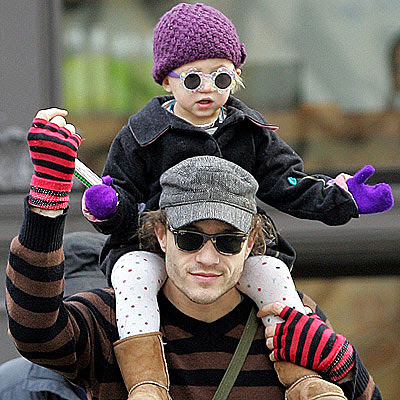 So, so sad about the death of Heath Ledger and even sadder that his child will be forever affected. I was completely caught off guard and shocked by the news. My girlfriend Heidi called me to tell what was going on–it so happens that she works in the same building where Heath lived. So she gave me the scoop about all the commotion going on right where she works. But I guess why I was so taken back was because there were multiple times Heidi would call me and give me updates about Heath because she would see him so often–what he was wearing, if he had Matilda, what she was wearing, if he came into the store and random things like that. His apartment was one floor above her office. One of Heidi’s coworkers even heard him singing to his daughter one time. Sweet. Anyway, when she called this time it really made me sad. When I saw this picture, I remember Heidi telling me she saw him carrying his daughter this way. The post So Sad appeared first on Darling Darleen | A Lifestyle Design Blog .